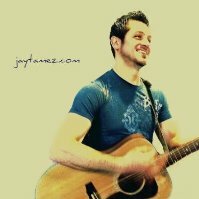 Jay Tamez is an original Wisconsin based artist with a Pop/Rock/R&B influence. His music has been described as boldy direct and honest. As a regular Summerfest performer, Jay has entertained tens of thousands of people over the course of his music career. He has been active in the music industry for over two decades, with a background in Music Education, Band Leadership, Performance, Live Production, Recording Technology, Music Business and Marketing.